How did you first come to love music? Do you have a defining moment that captured your attention and turned you into a fan of a particular artist? What is your story with music? Are you a musician yourself? I’ve been asked lots of questions about my music, my songwriting process, where my inspiration comes from and what my goals are. 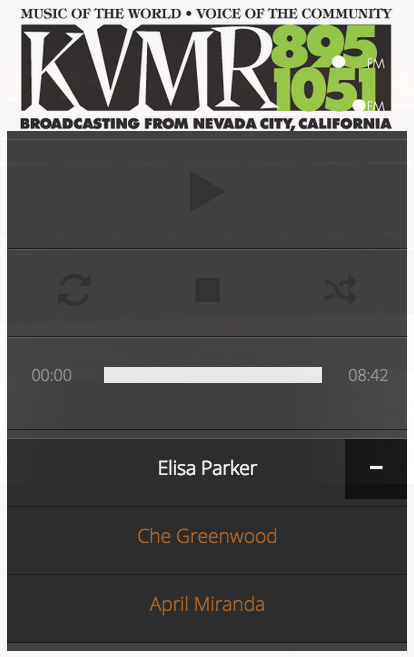 For the curious, these interviews (including live performances) with Elisa Parker, Che Greenwood and April Miranda on my local radio station KVMR have been archived here: https://www.catherinesmusic.com/interviews/. Though there have been diversions along my path, music lives on through me and through my kids. My 13 year-old son, Nathan, is a budding percussionist and Bridget, my 4 year-old daughter, is destined to become a singer in some new genre yet undiscovered. She starts kindergarten soon and I will be more freed up to explore my music again. Now, after taking a year off to form a new family constellation, I am getting back to the business of marketing my music and I’m excited to launch my new vision of putting together a European Tour in 2016. I have fond memories of performing in Europe as a teenager and in my 20’s. Stay tuned for more details as they evolve! Oh and by the way, today is my birthday! I’m 41 years young! Happy Birthday to all the fabulous Leo’s! My birthday gift for you is the promo code to download Right Here Now directly from my website for free. Go to this page: https://www.catherinesmusic.com/downloads/right-now-complete-album/ and choose your preferred format, then click the purchase button. 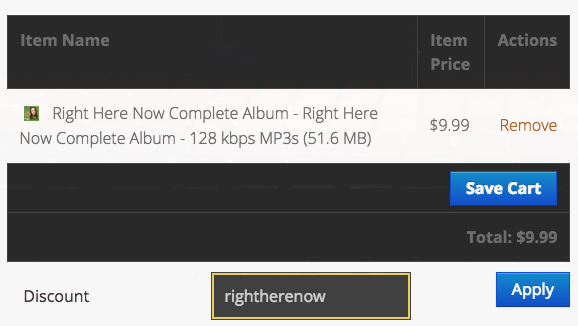 On the next page, enter the promo code rightherenow to get 100% off the entire album. Enjoy! Contact me if you have any issues with the process.